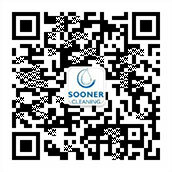 Soonercleaning founded in 2003, headquartered in Beijing China and the factory located in Hangzhou, Zhejiang Province. Currently, we have 310 sales, researchers and workers. We are a professional spunlace nonwoven R&D company, mastered in developing and customizing special functional spunlace nonwoven materials. Now, we have 5 spunlace nonwoven production lines, Besides, we have 3 supporting production lines that is 2 paper production lines and 1 spunbond production line and also with multiple post-treatment production lines. Our main products are spunlace nonwoven fabric and woodpulp laminated spunlace nonwoven fabric. We mainly serve large and medium enterprises in domestic and overseas market, providing nonwoven solutions to our customers, selling its products to more than 120 countries and regions.